Now you can buy 18kg gas cylinders to call your very own! For just $165 you can purchase your own cylinder outright, allowing you to refill it for just $50 thereafter. 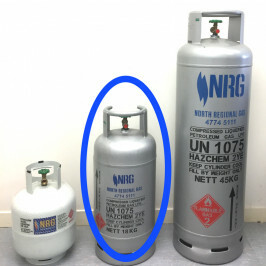 To purchase, simply come into NRG and pick up your first filled cylinder. When you need to refill, simply drop it off on your way to work and we’ll have it ready for you’re on your way home! Home delivery can be arranged for an additional fee of $15. Please allow 7 days for your cylinder to be refilled. Pick and up and drop off only.